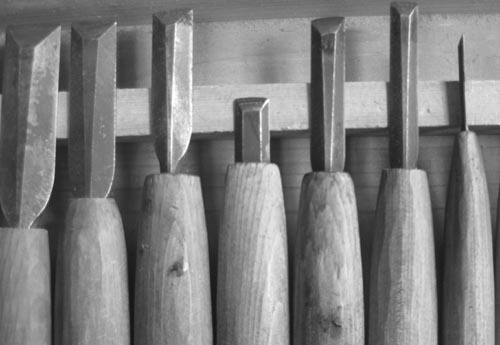 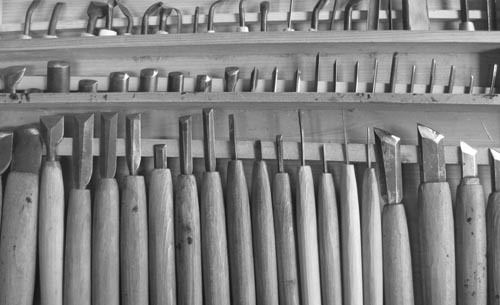 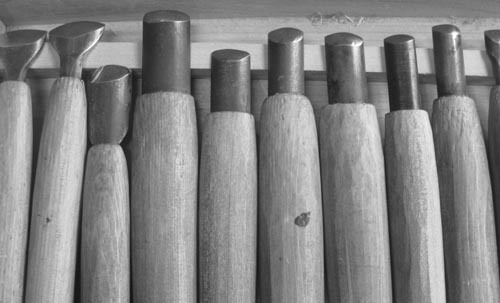 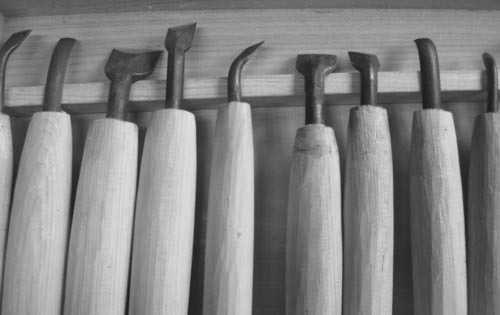 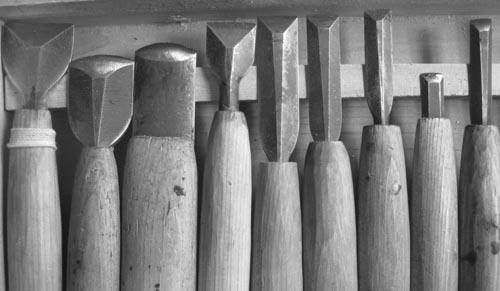 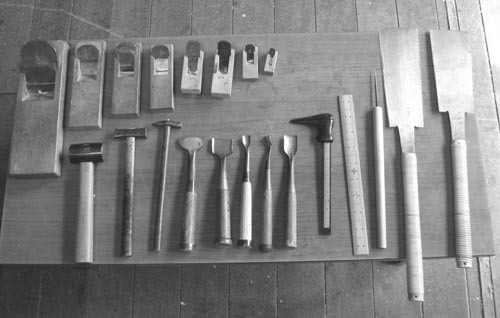 chisels by shape and part of sculpture. 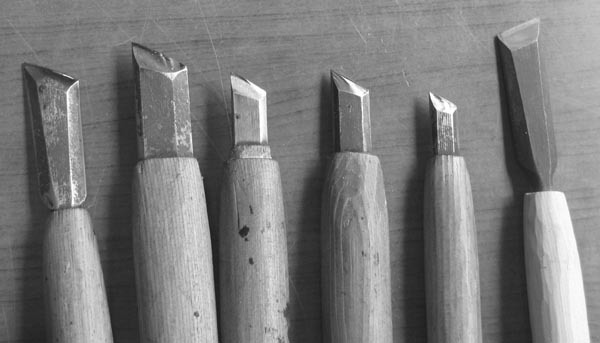 Why should carving outside to inside ? 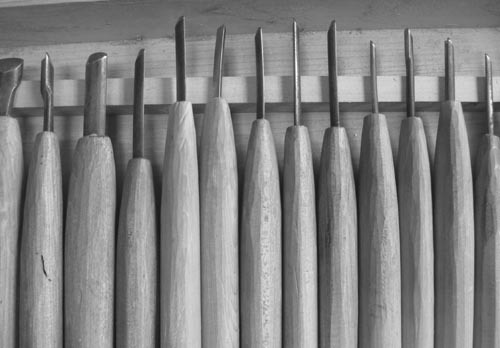 In what kind of situations should I use Ganto? 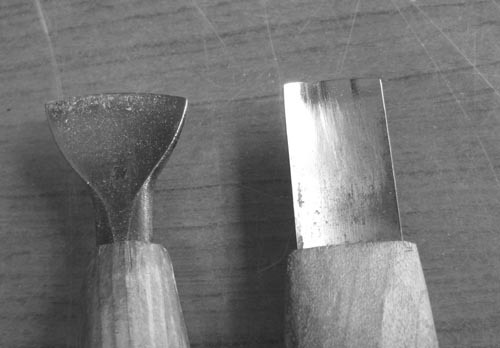 So there is many width of Ganto from from a thin thing to a big thing. 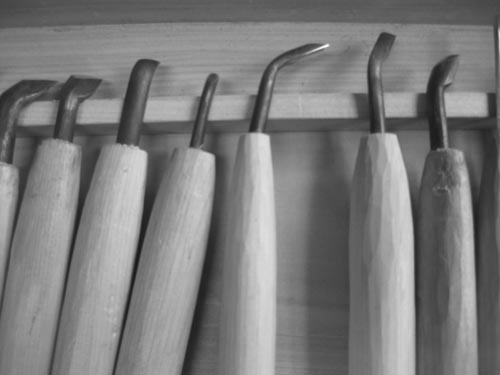 I have Sanri(Japanese traditional measures) but another Busshi that a particularly small Buddha statue is carved manages a lot of very thin tools.